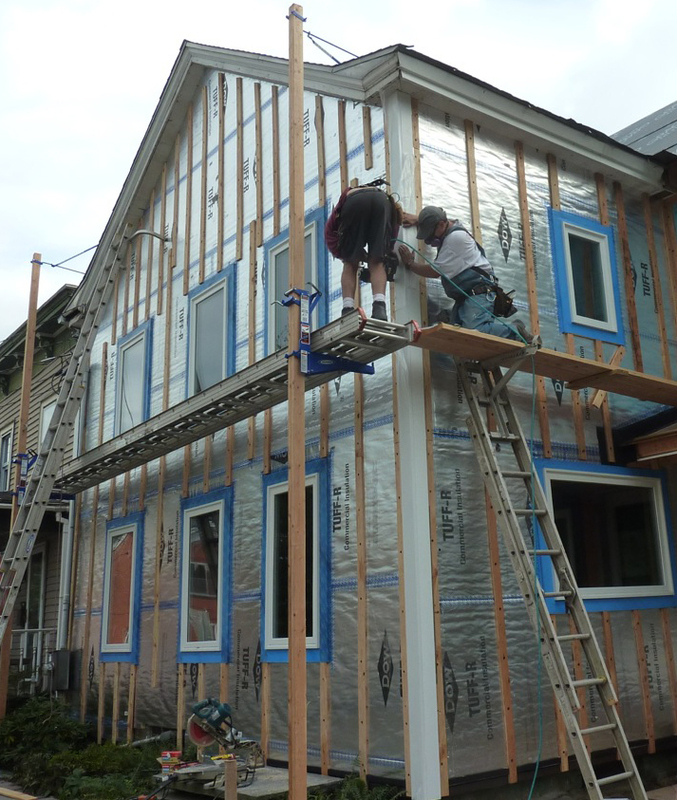 This entry was posted in Santa Cruz Architect and tagged building energy, exterior insulation on January 1, 2018 by santacruzarchitect. Thermal Insulation: Which is Best? The 5 most common types of insulation on the market. This entry was posted in Santa Cruz Architect and tagged building energy, Building Energy Efficiency Standards, building technology, exterior insulation, green building design, non-toxic materials on April 18, 2017 by santacruzarchitect. To lower the risk of wall rot, it’s increasingly seen as sensible to provide a ventilated air gap between the siding material (also known as cladding) and the structural sheathing. As rainscreens become more common, mainstream builders are more often being compelled to ask, “What is a rainscreen? How do I know if I need one?”. This article will discuss the most common questions about rainscreen gaps between siding and sheathing. Stopping the rain that gets past the siding. In most cases, the investment in a rainscreen siding installation pays dividends in paint longevity and siding durability. an air gap between the WRB and the back of the siding. flashings at all penetrations and vulnerable areas. ventilation openings at the top of the wall on a case-by case basis. This entry was posted in Santa Cruz Architect and tagged architectural design, building technology, exterior insulation, green building design, zero-energy building on February 15, 2015 by santacruzarchitect.